Published Sep 10, 2015 by Addison-Wesley Professional. 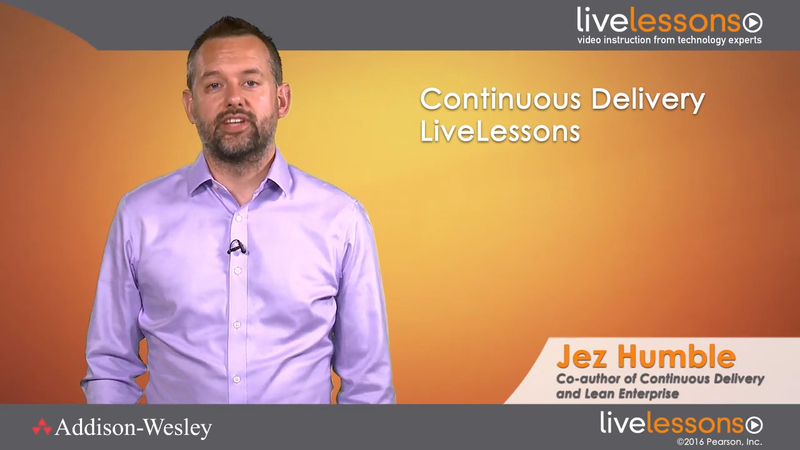 In Continuous Delivery LiveLessons, Jez Humble presents an in-depth guide to the principles and practices behind continuous delivery and the DevOps movement, along with case studies from real companies and ideas to help you adopt continuous delivery and DevOps within your organization. You’ll start by learning the value proposition and the foundations that enable continuous delivery, followed by an introduction to the pattern at the heart of continuous delivery–the deployment pipeline. The training then dives into the key development practices of continuous integration and comprehensive test automation. These lessons cover change management, agile infrastructure management, managing databases, architecture, and the patterns that enable low-risk releases. They conclude by discussing the culture and organizational change patterns of high performing companies. After taking this training, you will understand not just the principles and practices that enable continuous delivery and devops, but also how they are implemented in high performing organizations. With this knowledge you’ll be ready to transform your organization’s software delivery capability to get high quality solutions to market fast, while reducing the risk of the release process.